Pregnancy is a time for joy and excitement. However, for many women, it is also a time for serious sleep deprivation. Unfortunately, the problem of sleep disturbance during pregnancy is extremely common. In one study conducted by the Sleep Center of Children’s Hospital of Philadelphia, 100 percent of the respondents reported frequent nighttime awakenings, and 76 percent also reported poor sleep quality. In fact, pregnancy affects sleep in a variety of ways, and can also cause several forms of sleep disorders. Hormonal and physiological changes, as well as behavioral and physical factors, can and often affect the quality and amount of sleep a woman gets throughout her pregnancy. Although some may think that pregnancy is a woman’s last chance to get good sleep before her baby arrives, the truth is a lot less forgiving. As early as the first quarter, rising progesterone levels can make you feel drowsy and fatigued during the day. Moreover, because the uterus is expanding near the bladder and hormones leading to it become sluggish, pregnant women frequently have the urge to go to the bathroom, especially during the evenings. These hormonal changes should level out by the second trimester, which is generally thought to be the most comfortable time during a woman’s pregnancy. However, it is still fairly common to experience several sleep disturbance problems. Lastly, the third trimester brings with it dramatic physical changes related to late pregnancy. The general quality of sleep suffers the most during this time, with many women having trouble falling asleep and others suffering from more nighttime awakenings as compared to the second trimester. Aside from insomnia related to sleep disturbances, What To Expect advises pregnant women to watch out for issues like restless leg syndrome (RLS), sleep apnea and nighttime heartburn. If you have a strong urge to move your legs because of unpleasant sensations, have yourself checked by your doctor for RLS. Pregnant women suffering from RLS need to take adequate iron, folate, and vitamin B12 to relieve symptoms. On the other hand, if you’re having problems with sleep apnea, see a doctor right away. A drop in blood oxygen levels during sleep can cause potential complications for the baby, and should be addressed immediately. Meanwhile, if you’re suffering from nighttime heartburn, try elevating your head with an extra pillow while sleeping. It would also be good to avoid spicy, acidic, fatty, or fried foods to reduce the risk of the condition. Poor sleep does not only affect the comfort and wellbeing of pregnant women, it can also have adverse effects on labor and delivery. It is for this reason that good sleeping habits are an important part of prenatal care. One way to try and minimize the sleep disturbances common in pregnancy is to plan and prioritize sleep. In order to achieve the minimum hours of sleep, it is advisable to take daytime naps as necessary. 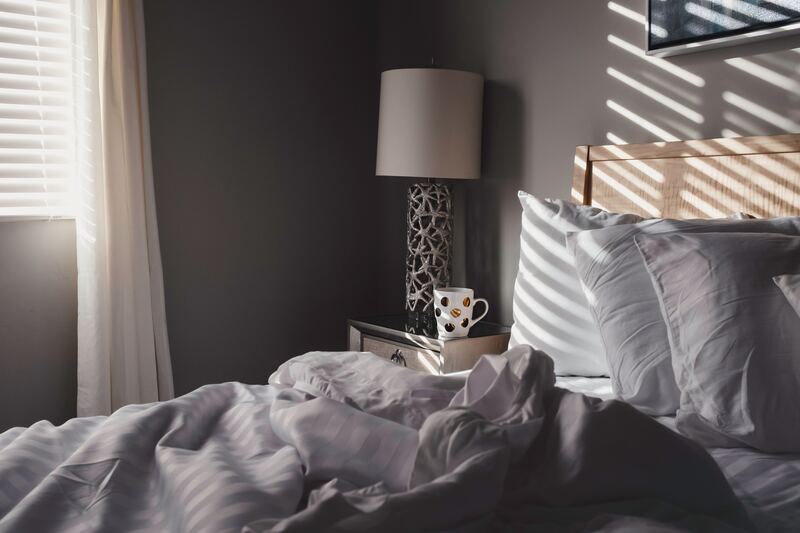 Leesa explains the benefits of spacing sleeping times evenly throughout the day, and how naps can help you make the most of your limited time. Generally, it’s good to get some shuteye whenever the opportunity arises. If you’re having problems in terms of comfort, try to sleep on your left side with knees and hips bent in order to improve the flow of nutrients to both your baby and your kidneys. To relieve pressure on the lower back, try placing pillows between your knees, behind your back, and under your abdomen as the baby grows. And lastly, be patient and love yourself! Like stated in another of our blog posts, beating yourself up for feeling bad only ends up drawing more negative energy. Many women have powered through the problems of pregnancy and you will, too. While sleep is one of the most important things to have during your pregnancy, it can also be one of the most difficult to get. However, with the right attitude, good practices, and careful monitoring by your doctor, sleep can be achievable for the benefit of both you and your child.